Public Engagement or Charrette Charade? Zoning Reform or Just Upzoning? The Principle Group will host a "Draft Plan Open House" on October 24. More info is here. Principle has also released a "Snapshot" of the results of their June 5-12 public engagement exercise. Their June 12, 2018 closing night presentation slides and video were also full of surprises including a new "village" of apartment towers at Crafts Street, what appeared to be a 10-story apartment building over the Pike in Newtonville, and high-density buildings proposed in all the places Robert Korff happens to own or have interests in property for redevelopment. Kudos to the Newtonville Area Council for hosting the first resident-led planning charrette in Newtonville, and following up with a survey of residents' views about Washington Street. Read the results here and the very interesting open responses here. The survey results reveal that residents' preferences for Washington Street do not align with those of Robert Korff. Korff, the property speculator behind the oversized Washington Place project, its MU4 upzoning, and its controversial "devil strip" tactic for undermining abutters' rights, reportedly has purchased, or is in negotiations to purchase, numerous large parcels of land along or near Washington Street - from Nonantum to Riverside. He appears to have access to a steady stream of financing, and has proven he is willing to use MU4 upzoning or the Chapter 40B "affordable housing" law to get upzoning changes or to override local zoning to build very large, wooden, "luxury" apartment complexes. He has a "vision" for Washington Street involving profit for him and loss for our villages. Zoning Reform: Get Informed Before Your Neighborhood is Up-Zoned Without Your Consent. Review the Draft New Zoning Map. Read the Pattern Book to Know What's Proposed. Resident feedback is important for documenting residents' preferences about how crowded Newton should or shouldn't be. A resident-led collaboration resulted in a document of a collection of various resident critiques of the pattern book and of the community engagement process. You can read the critiques here. The Planning Department and their consultants have been conducting an agenda-driven community engagement process. Their Zoning Redesign engagement process is online here. 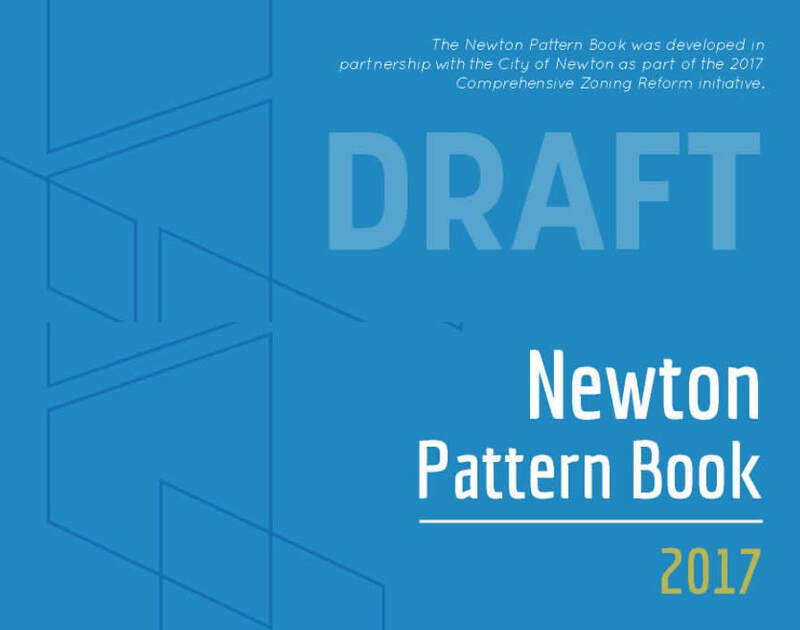 You can also offer comments at 617.796.1120 or at zoningredesign@newtonma.gov. On June 24, 2017, the Newton Villages Alliance and NewtonForum.org co-sponsored a forum with mayoral candidates Amy Mah Sangiolo, Ruthanne Fuller, and Scott Lennon. The event was held at the Windsor Club in Waban with a live audience in attendance. The candidates answered questions in sections divided by topic. Newton residents conversant in those issues asked the questions in each topic area. The steering committee members of the NVA are glad we were able to make this particular mayoral forum happen, as we think the questions and answers were unusually specific and very interesting. We hope you agree. 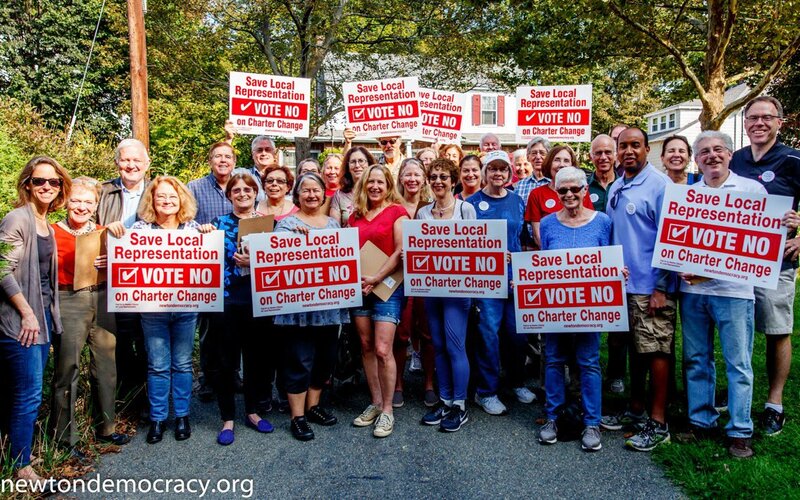 Congratulations to Everyone Who Helped to Make the "Save Local Representation" Effort a Success! As part of the NVA’s “Setting Our Course in Newton” 2016 speaker series, we invited some community preservationists from the Ballard neighborhood in Seattle to engage in a live videolink conversation with an audience in Newton. The event was moderated by Professor Lynne LeBlanc from Newtonville. ​Seattle reformed its zoning code in 2010. The up-zoning sparked a negative transformation of Ballard and some other neighborhoods that have been targeted by developers for high-density, residential development gentrification and urbanization in the same way Newton has been targeted. Watch the video of the live conversation with our guests from Seattle and hear what they have to say about how up-zoning devastated Ballard and other neighborhoods in Seattle, how adding higher density of units actually drove up housing prices, how middle-class and low-income households and small businesses are being displaced, and how homelessness has risen dramatically. Their observations about the ties between developers, campaign finance and the escalating costs of campaigns at the local level are particularly pertinent. Newton is the home we cherish. We value its architectural character, history, and scale. Newton residents are deeply invested in their community, both economically and emotionally. Whether they have been living here for decades or recently moved here, most residents chose Newton precisely for its suburban qualities, not because they hope to see it grow ever more urban. In recent years people from different villages, each interested in resolving a particular development-related problem, came to recognize that those from other villages shared similar concerns. Decisions were being made, it seemed, without residents having meaningful input. We don't wish to stand by as the leafy suburb of family neighborhoods that we know and love is lost to a dense urban environment. We understand that we all lose when any village falls victim to demolitions and over-development. So we formed an alliance - the Newton Villages Alliance. 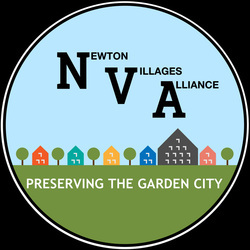 We invite you to accept our email updates about development issues affecting all of Newton's villages and neighborhoods. One issue is density. The costs of density - overcrowded schools, traffic jams, parking shortages, tree and green space loss, overburdened City services and increasing taxes - fall on the existing residents of Newton. The current development patterns are eliminating Newton's existing affordable houses and replacing them with luxury condos and McMansions. Dense residential growth is damaging to Newton in terms of its negative impact on our quality of life, and because it drives our local government further into debt. We should demand housing sustainability, not growth. Peruse other parts of this website for more detail about the problems of excessive and inappropriate development. Check this site frequently to see ﻿how your city councilors are voting﻿, and how the people they appoint to commissions and advisory groups, are voting on land use, zoning, "surplusing" and other aspects of City Hall's high-density, urbanization agenda. And remember, at the next election, whether they voted to protect our villages or to help developers urbanize them. ©2018 Newton Villages Alliance. All rights reserved.